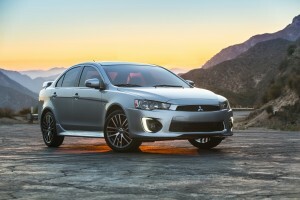 The Mitsubishi Lancer Evolution may be going away, but the base car is sticking around for the foreseeable future, as evidenced by a host of changes for the 2016 model year. The same basic look has been updated with a bolder front bumper that features vertical LED accents. The rear end, though, looks totally free of any significant changes. The profile gets some small updates, including mirrors with integrated turn signals and a flashy (optional) set of 18-inch wheels. The Lancer’s cabin gets a similarly modest array of upgrades, including standard USB connectivity in a redesigned center console, standard display audio, and a redesigned, optional infotainment system. In addition to the new standard features Mitsu will offer a color LCD display in the instrument cluster, the LED running lights, and automatic air conditioning on the base ES trim. Compania nipona a anuntat ca revolutionarul vehicul electric i-MiEV a castigat recent prestigiosul „Environmental Special Grand Prize”. Premiul a fost acordat la a 25-a editie a Festivalului International ce s-a desfasurat la la Paris la data de 04 februarie 2010. Mitsubishi Motors a dezvoltat tehnologia vehiculelor electrice din anul 1971, continuand cercetarea technologiilor alternative de atunci si pana in zilele noastre, cu o concentrare speciala asupra motoarelor şi acumulatorilot. 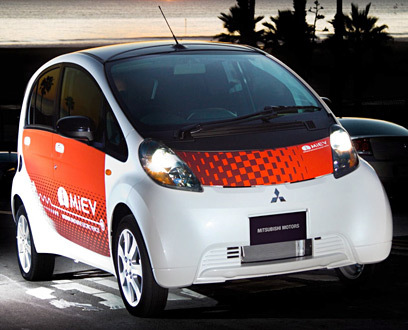 i-MiEV este în prezent disponibil pe piata din Japonia, este testat în Marea Britanie, iar Mitsubishi a anuntat ca in curand acesta va fi de asemenea disponibil pe piata din SUA.